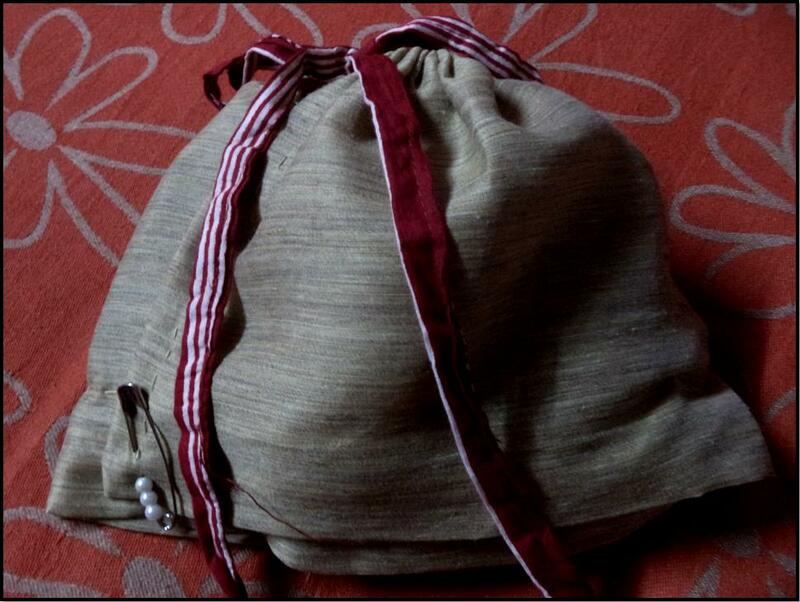 So I racked my brains and came up with this ingenious (or so I thought) travel make-up carry-all sack. It has individual compartments for each and every make-up item and thus keeps my make-up organized even while I’m travelling. 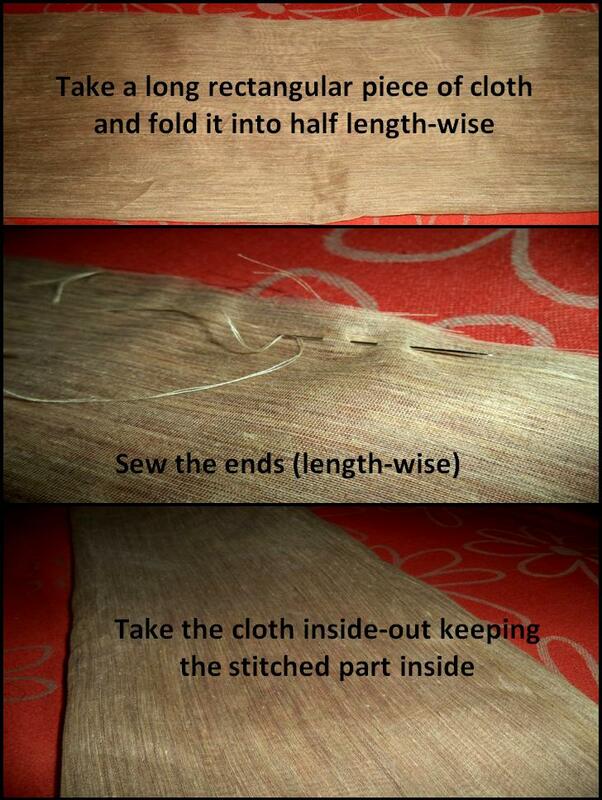 Now roll it from left to right and tie the girdle tightly. You can pin a brooch or a showy safety pin as shown to keep the lower half in place. 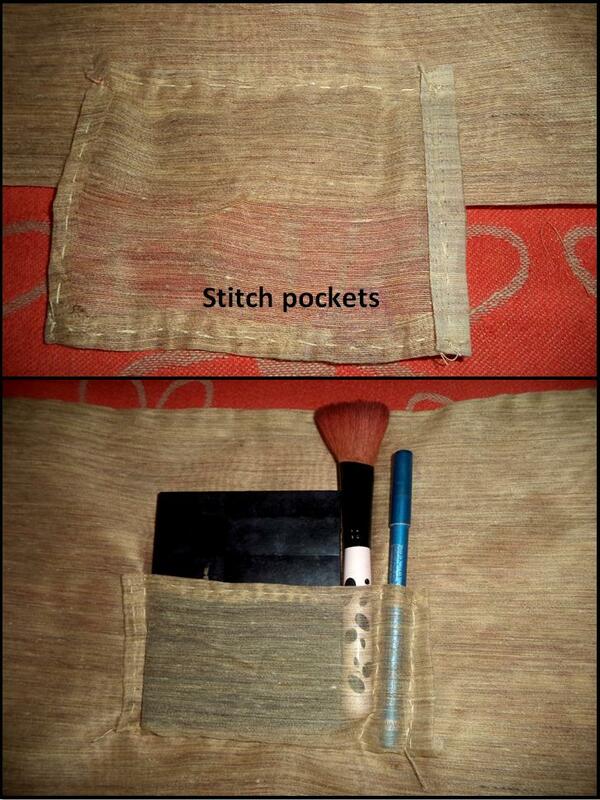 And the carry-all-make up sack is ready! I cannot stop “yayying” at this creative outcome (*raises collar*). I am going to college tonight and I’m totally excited to carry this! 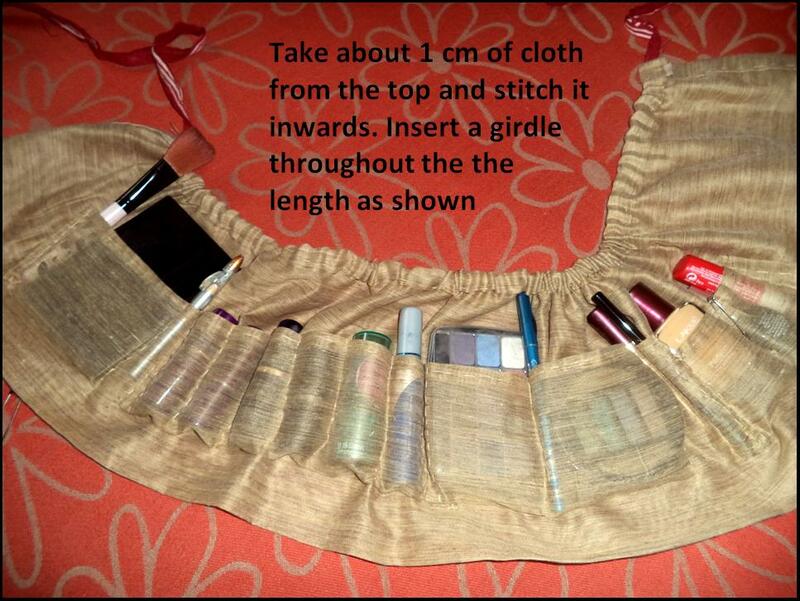 Do try this out if you own a huge crate full of make-up you can’t do without wherever you travel. 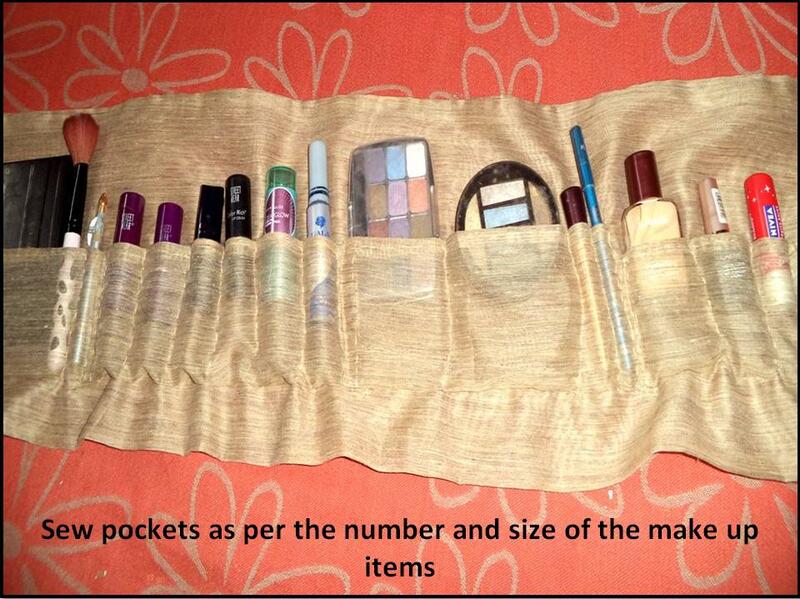 Post your comments and let me know more about how you carry your make-up when you travel. Till then keep it stylish. You are really creative. Way to go girl!